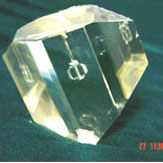 Potassium Titanyl Phosphate Single Crytal, known as KTP (KTiOPO4), is the most efficient frequency doubling crystal for Nd:YAG/Nd:YVO4 laser systems. 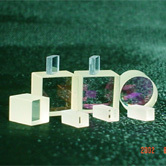 KTP is the best non-linear optical crystal for 1064nm pumped OPOs. We have the following items in stock, which are ready for shipping immediately.